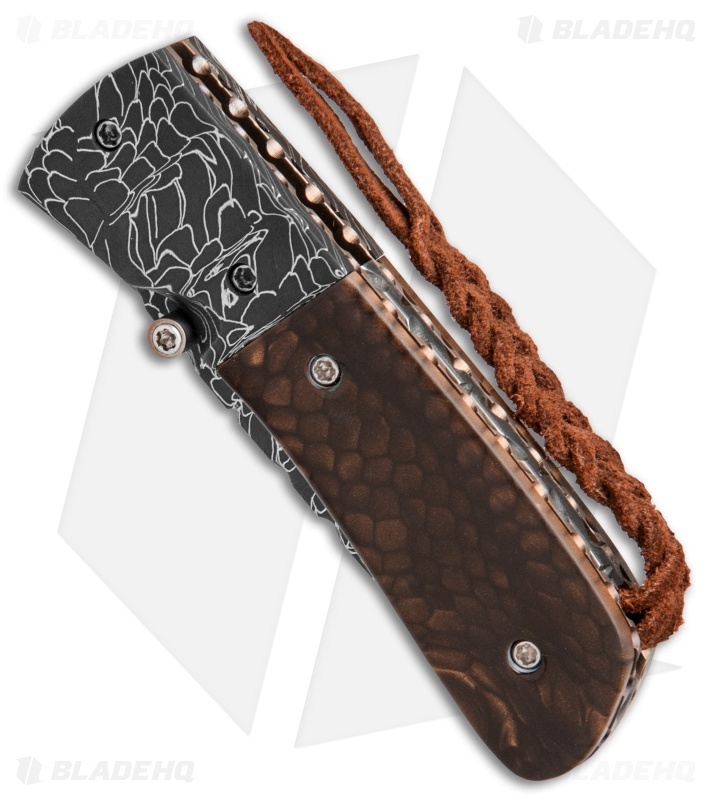 This Burr Oak C-MO folding knife has a Snake Skin Damascus steel blade with a thumb stud opener. 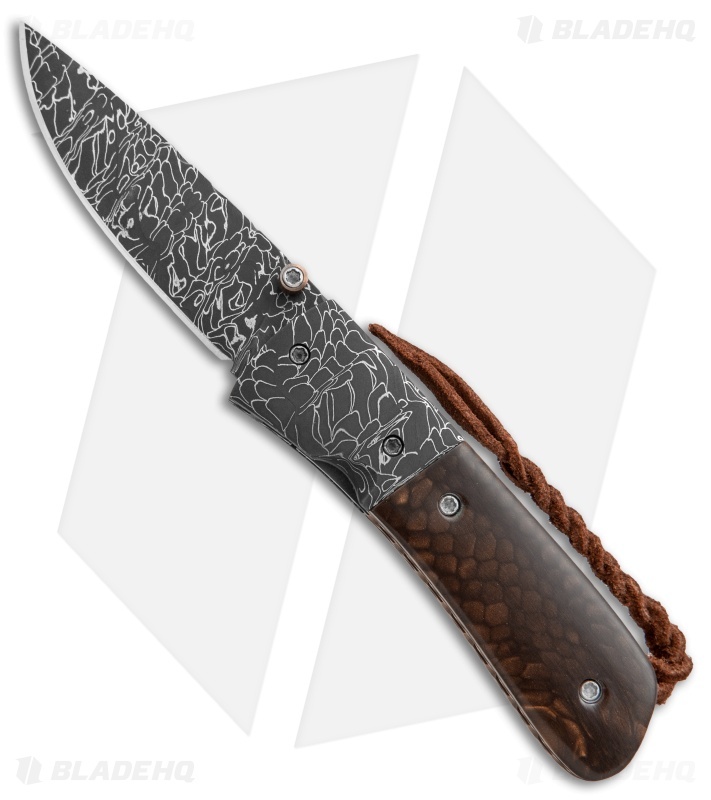 The handle features Snake Skin Damascus bolsters and Juma scales over titanium liners. The steel back spacer is filed, along with the liners and blade spine. 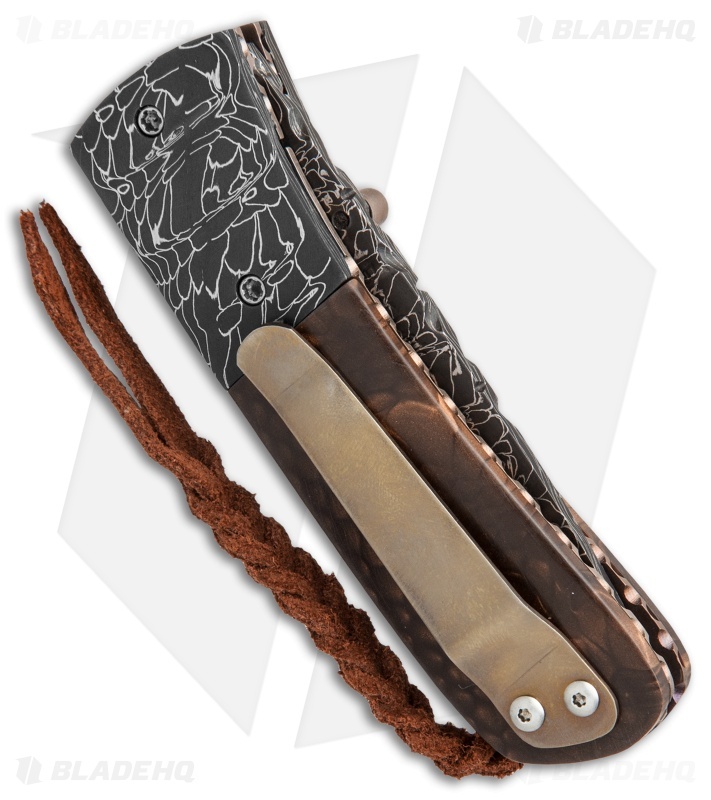 Comes fitted with a bronzed titanium pocket clip. 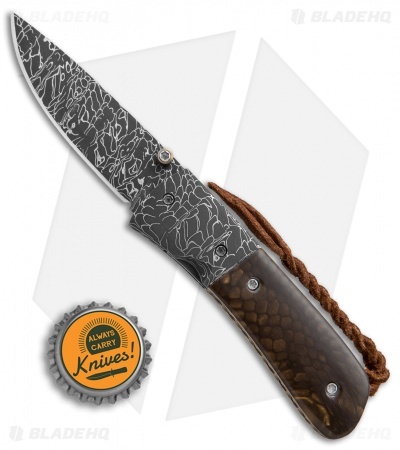 This knife includes a signed certificate of authenticity.